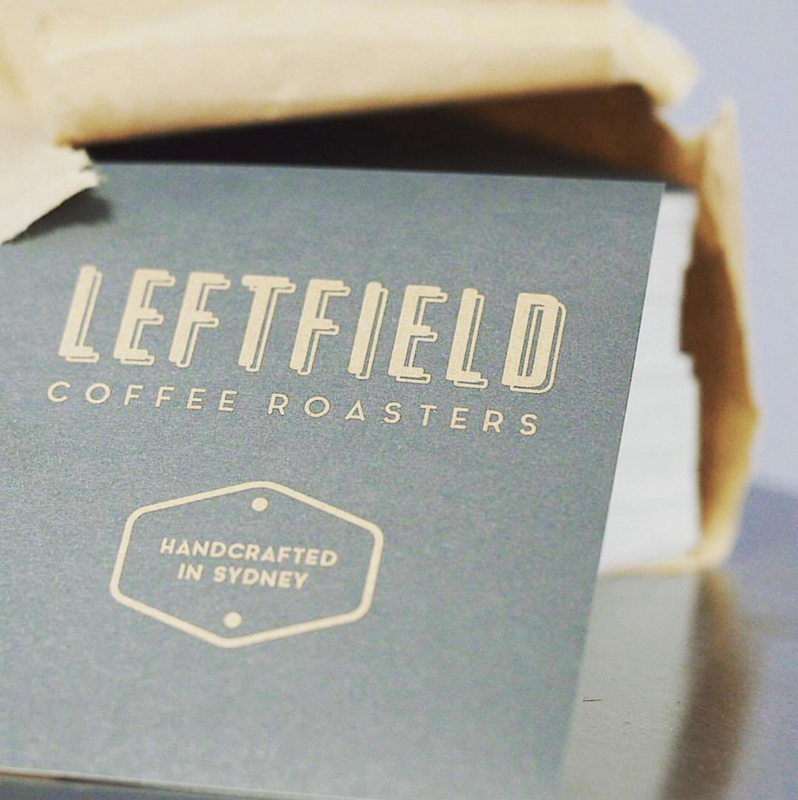 Branding, business cards and packaging designs for small coffee roastery start-up business in Marrickville, Sydney, NSW. The clients (hubby and wife team) wanted a classic, sophisticated brand that was "not too hipster", wouldn't age, but had a cool, industrial edge. Bold, condensed letterforms combined with a classic ever-so-slightly-retro secondary font and a 'badge' boasting their handmade product fitted the bill, and this branding was then applied to all their initial marketing requirements. All photos courtesy of Leftfield Coffee.